Deborah: I know that parents can get Social Security benefits for their children in certain situations. But what about grandparents? My husband and I are raising our grandson because his mother and father have abandoned him. He is 8 years old and has only seen his father maybe three times, and I think that was around 2012. He doesn’t call or write him. His mother lives in the same town as us, a tiny town of about 300 people. But everyone else comes before her own son. Ultimately, we would like to adopt him but we don’t have the money to do so right now. Phil Moeller: I am so sorry you and your grandson are having to go through this. If you can demonstrate that your grandson is living with you and that you are his primary caretaker and pay for his needs, he should qualify to file for benefits based on one of your earnings records, presumably that of the higher earner. In order for him to file, the person on whose earnings record he is claiming must already have filed for their own retirement benefit. I suggest you call Social Security and find out specific requirements to establish your eligibility for benefits for your grandson. You and your husband also should determine the best Social Security filing strategy – one that reflects your longer-term needs as well as those of your grandson. If you run into any obstacles, please let me know. Jan: I’m looking for advice on when my husband and I should file for Social Security. He is 66 and retired; I am 64, still work, and make about $150,000 a year in commission income. I will qualify for a $48,000 annual pension when I turn 66. We have $1.7 million in savings, a $600,000 home (our mortgage will be paid off in four years), and no other debt. Phil Moeller: It doesn’t appear that you need additional current income. If that’s the case, and neither of you have health issues that would shorten your expected life spans, I strongly favor delaying benefits until they reach their maximum amounts at age 70. Given expectations that both of you will live well into your 80s, and that at least one of you likely will live well into their 90s, maximizing Social Security makes sense. I am assuming neither of you has worked for public employers, that your wages have been subject to Social Security payroll taxes, and that your pension is from a private employer. Otherwise, Social Security’s Windfall Elimination Provision and/or Government Pension Offset might come into play, and could alter your optimal strategy. If you do want to generate some Social Security income prior to age 70, there is another approach. It won’t optimize your lifetime benefits, but it may nonetheless be attractive. When you reach 66, your husband would file for his own Social Security retirement benefit. This would make you eligible to file for a spousal benefit based on his earnings record. Under a grandfathered provision of the 2015 revisions to Social Security laws, you would be able to file a restricted application for just your spousal benefit while deferring filing for your own retirement benefit until you turn 70. If you haven’t already done so, open My Social Security accounts online and see your lifetime earnings record and benefit projections. This will permit you to estimate the effects of different filing strategies. I also should note that filing for Social Security requires the claimant to begin receiving Part A of Medicare. If you have a high-deductible health plan with a health savings account (HSA), filing for Medicare makes it illegal to continue making pre-tax contributions to an HSA. Carla: I am a widow, and will reach my full retirement age of 66 in October. I am thinking of applying for my late husband’s social security, and understand that if I wait until then my benefits will not be reduced by my employment earnings. Also, I have an ex-husband that I was married to for more than 10 years. One of the Social Security representatives told me I could get either a survivor or ex-spousal benefit, whichever is more. Another one told me if my ex is alive I only get half. I am not sure who is right on this. My ex is alive and makes more than my late husband. If the ex-spousal benefit was half of what my ex made, that benefit would be smaller than my survivor benefit. Lastly, are any of these benefits retroactive? 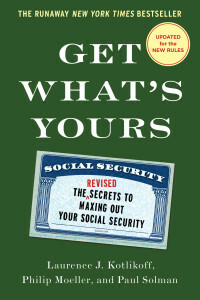 Phil Moeller: Carla, you have asked the kind of complicated question that affects lots of people, and for whom we wrote a whole book about Social Security. On the slight chance that you do not want to read an entire book to find these answers, here is a shorter reply! Both survivor and ex-spousal benefits reach their maximum level if you wait to file them until you reach full retirement age. Social Security is correct in saying that the most you could ever collect from an ex-spousal benefit is half of what your ex-spouse was entitled to receive when he reached his own full retirement age. This is true whether or not he had actually filed for his benefits at that time. Because you turned 62 on or before the beginning of 2016, you are grandfathered under a 2015 Social Security law. If you decided to file for the ex-spousal benefit (assuming your ex- had reached retirement age or you’d been divorced for two or more years), you would be allowed to file what’s called a restricted application for only this benefit. This will permit you to wait until 70 to file for your own retirement benefit, at which time you’d receive an additional payment equal to the amount by which your retirement benefit exceeded your ex-spousal benefit. Survivor benefits also can be taken by themselves, thus permitting you to delay your own retirement filing. From what you wrote, it appears that your survivor benefit would be larger than your ex-spousal benefit. If so, that is the one you should take. Also, if your ex-husband were to pass away, you could file for a survivor benefit based on his earnings record. If it was larger than your current survivor benefit, you should receive an additional benefit equal to the amount by which your new survivor benefit was larger than the old one. Then, at 70, you still could switch to your own benefit if it was larger. If you file for a benefit at your full retirement age, there is no retroactive benefit, so this should not be part of your filing strategy. Lastly, you’re correct that filings made on or after full retirement age are not subject to Social Security’s earnings test reductions. There is an additional complication that I can not seem to find mention of it in your book. My husband retired at the end of 2016 and was paid for December salary, unused vacation, and bonus in 2017. Am I correct in assuming that earnings paid in 2017 but earned in 2016, by a retiring worker, can be added to 2016 earnings for PIA benefit calculations? 2016 is one of his highest indexed earnings years and I am filing a restricted spousal application based on his record now since I will be FRA in 2017. His previous employer will not be issuing a W2 until Jan 2018 so how do we get this adjustment made in 2017? 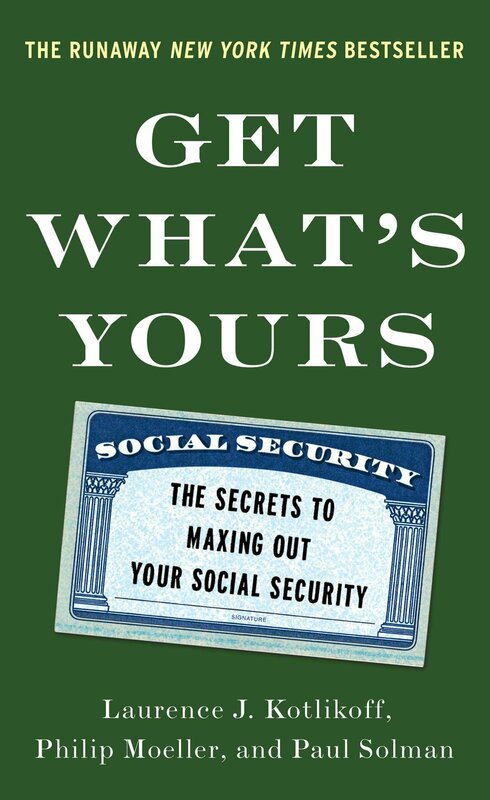 I am trying to figure out my best strategy for social security. How do I find out what my ex gets in benefits. I understand that my spousal benefit would be half of his (at least until or if he should die) and mine is less, I’m sure. I just turned 65 he is about 72. I was born in 1953. Would it be to my benefit to file for my SS now and then his next year when I turn 66? Or would I be forced to take a spousal benefit now if I file. Seems like taking mine for a year would give me some of my own funds and his would be bigger the longer I wait? I am trying to figure out my best strategy for social security. How do I find out what my ex gets in benefits. I understand that my spousal benefit would be half of his (at least until or if he should die) and mine is less, I’m sure. I just turned 65 he is about 72. I was born in 1953. Would it be to my benefit to file for my SS now and then his next year when I turn 66? Or would I be forced to take a spousal benefit now if I file. Seems like taking mine for a year would give me some of my own funds and his would be bigger the longer I wait? Ps- we were married 25 years and we have been divorced for 10. I started taking my retirement at 62 so it was reduced. I had planned on filing for half of my ex’s son see after turning 66, and then would stop my benefits. He would then be 66 but was not receiving benefits yet as he is still working. So benefit would be about 1250. I was told this is not possible. I can only receive his benefit at the same reduced rate as mine? Thought I was planning correctly, but guess not. I believe I an still entitled to his full benefit should he pass since we were married 10 years and neither has remarried.